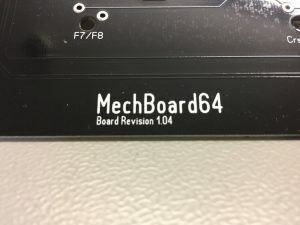 Thank you for purchasing this brand new mechanical keyboard, The MechBoard64, for your precious Commodore 64 home computer. 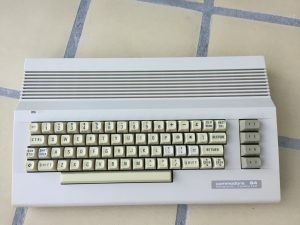 The keyboard is a drop-in replacement for your original Commodore 64 keyboard and will work in concordance with all the different versions of motherboards available, including the new motherboards (C64 Reloaded and Ultimate64). 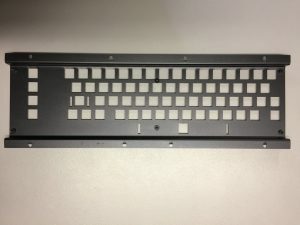 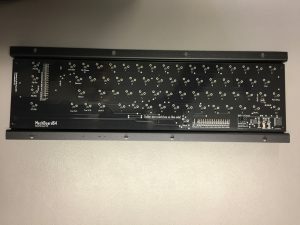 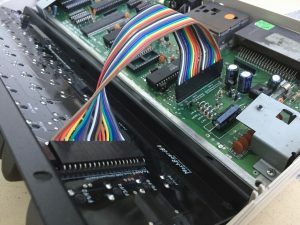 The MechBoard64 is based on high quality microswitches, a sturdy black powder coated aluminum bracket, a black printed circuit board (PCB) and a multicolored ribbon cable for connecting the keyboard to the C64 hardware. 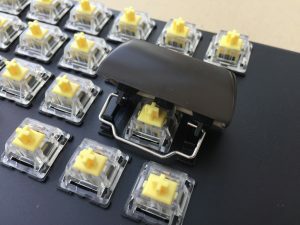 The MechBoard64 also has a small electrical circuit that will add the functionality of the Shift Lock key but without the need for a latching microswitch like the Cherry Locking switch. 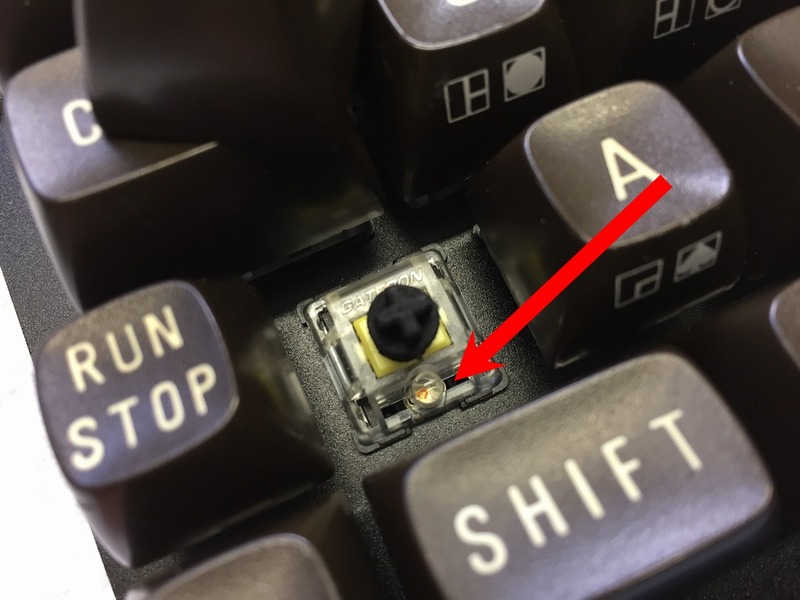 Whenever the Shift Lock key is pressed, a bright LED will light up underneath the keycap to indicate its current state (on or off). Further details and heaps of images can be found here (link). The keyboard has been designed and assembled in Denmark by hand. 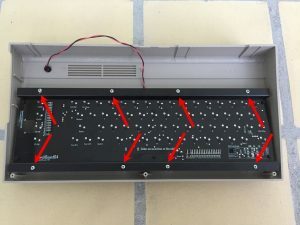 It consists of 126 different parts and pieces, while 212 soldering points ensure the electrical connections. 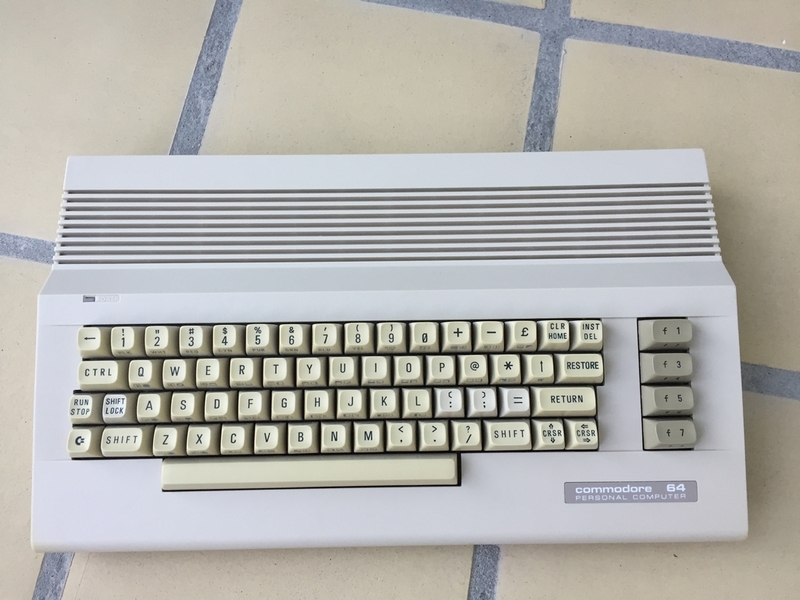 Before being shipped off to the end user, each keyboard has been thoroughly tested in a real Commodore 64. We hope you will enjoy using it as much as we enjoyed creating it! Use the included keycap puller to remove the keycaps from your original Commodore 64 keyboard. 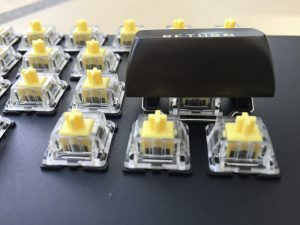 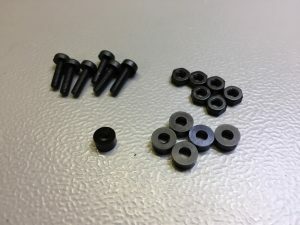 These keycaps are needed to finish the installation of the MechBoard64 as it does not come with replacement keycaps. 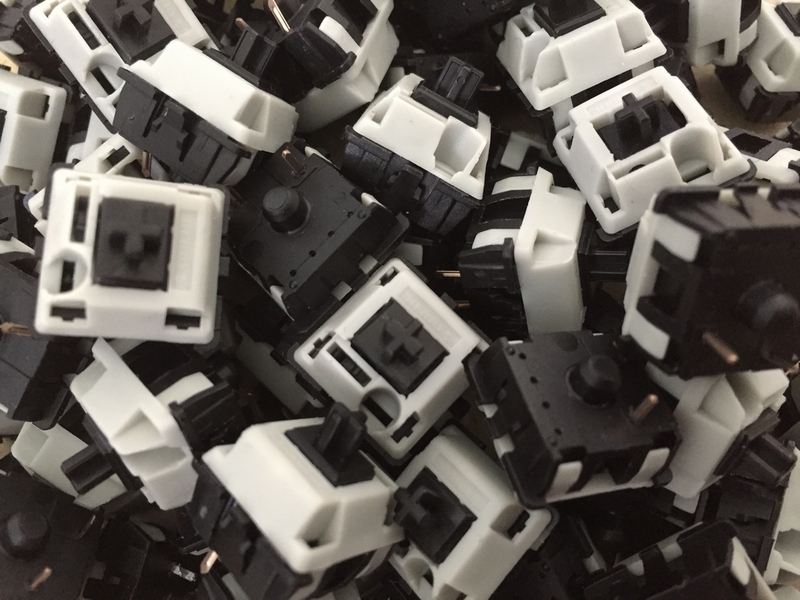 The easiest way to mount the 3D printed adapters is to insert them into the keycaps first. 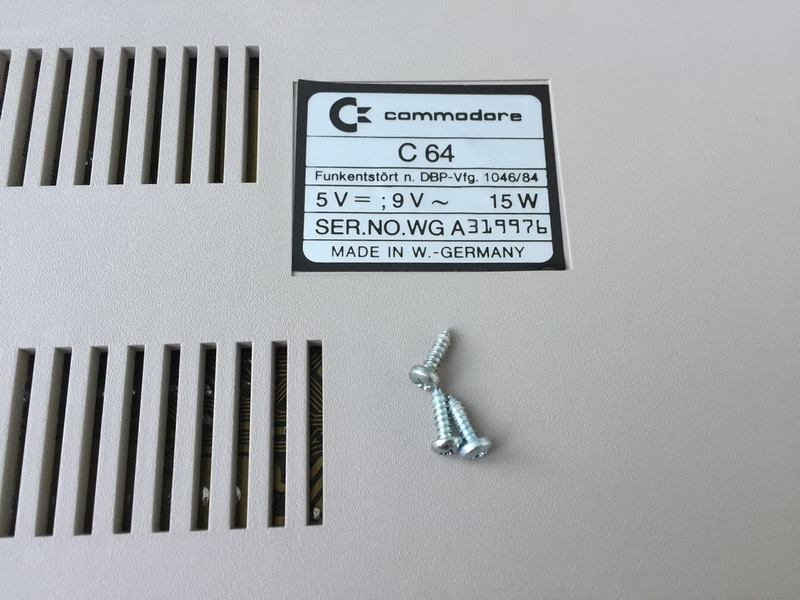 Use a hard surface (e.g. a table) and firmly press on top of the keycaps to push the 3D printed adpater to the bottom of the keycaps. 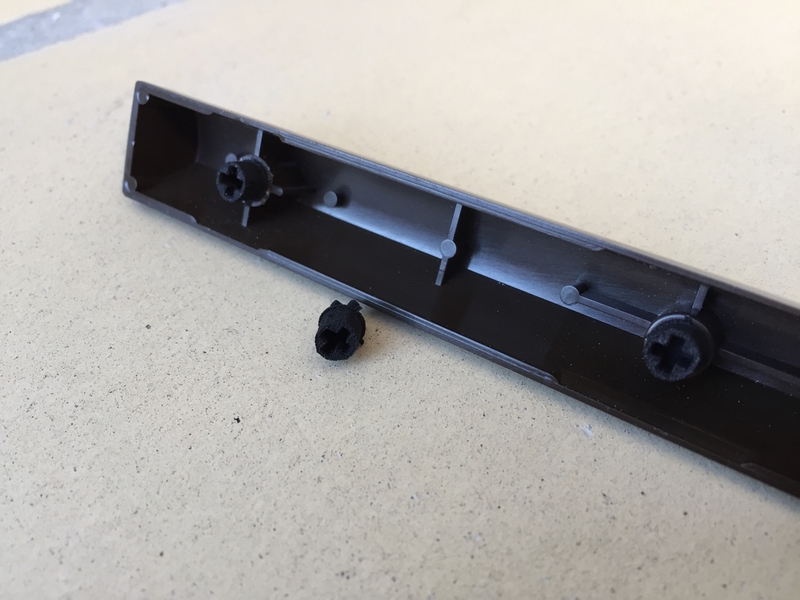 Then attach the 3D printed key adapters to the stems of the microswitches using light force. 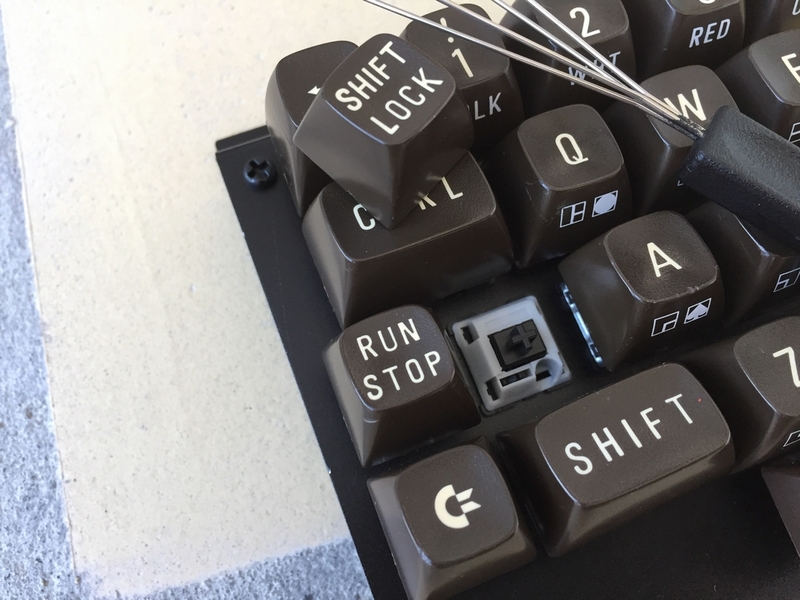 All 1.5u sized keys (Shift keys, Function keys, Restore and CTRL) have a 3D printed stem installed into the free hole to stabilize the keys during key presses. 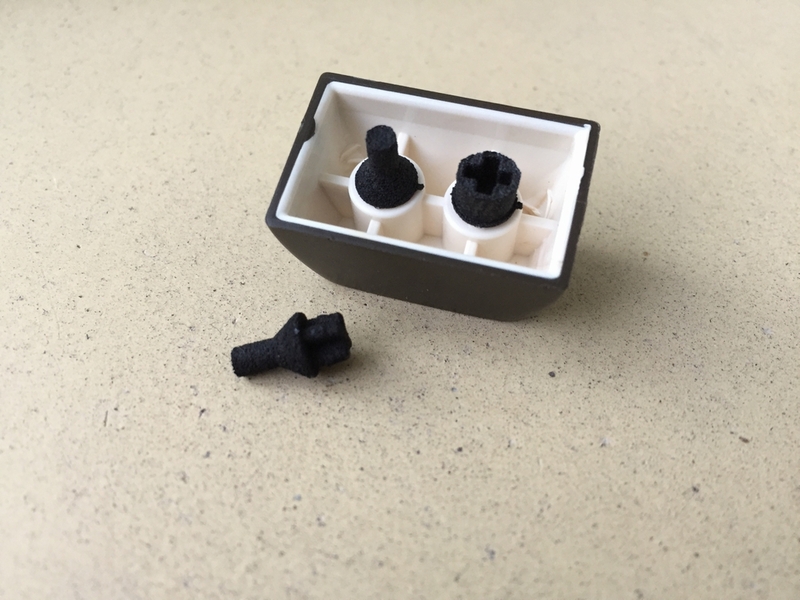 It is important to note that the 3D printed key adapters only work with Cherry mx style switches (e.g. Gateron) and the standard Commodore 64 keycaps. 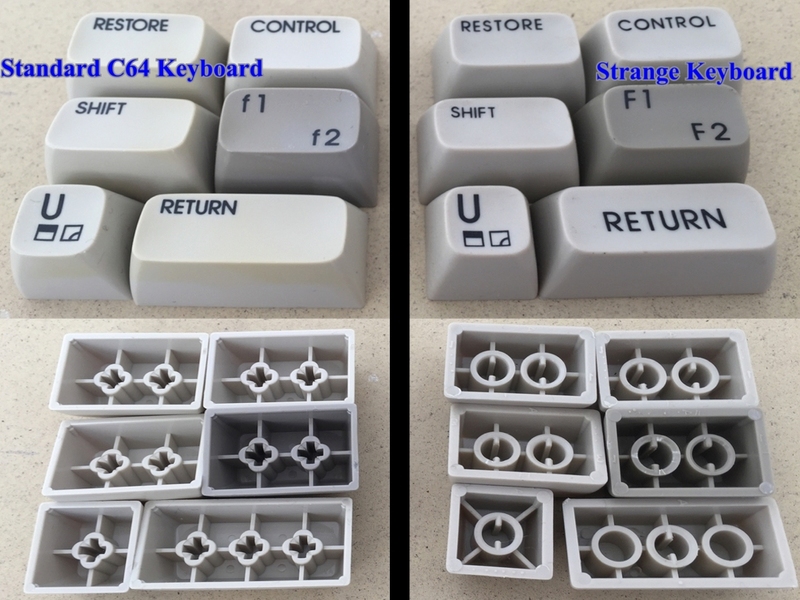 Other C64 keycaps, like the ‘strange’ ones shown below, will not work and hence cannot be used with the 3D printed key adapters! 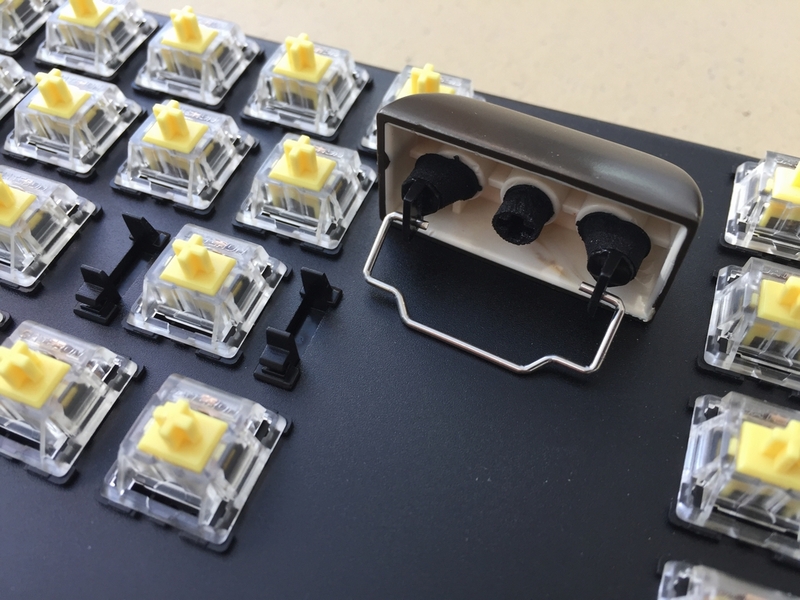 Add the 3D printed adapters for the Costar keycap inserts to the outer holes of the Return key and attach the Costar keycap inserts and stabilizer wire. 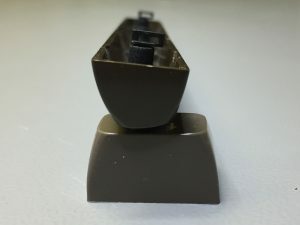 The longer part of the Costar keycap inserts must point backward. 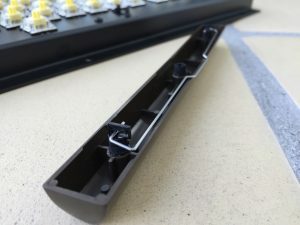 The stabilizer wire has to point forward towards the front of the keyboard. Install the Return key in the keyboard. 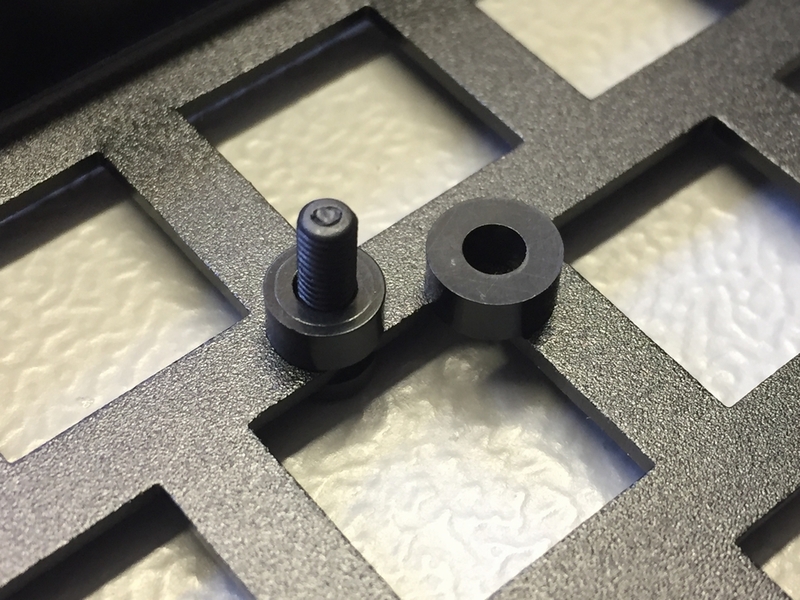 A flat headed screwdriver may be used to gently snap the stabilizer wire into the Costar plate mounted clips. 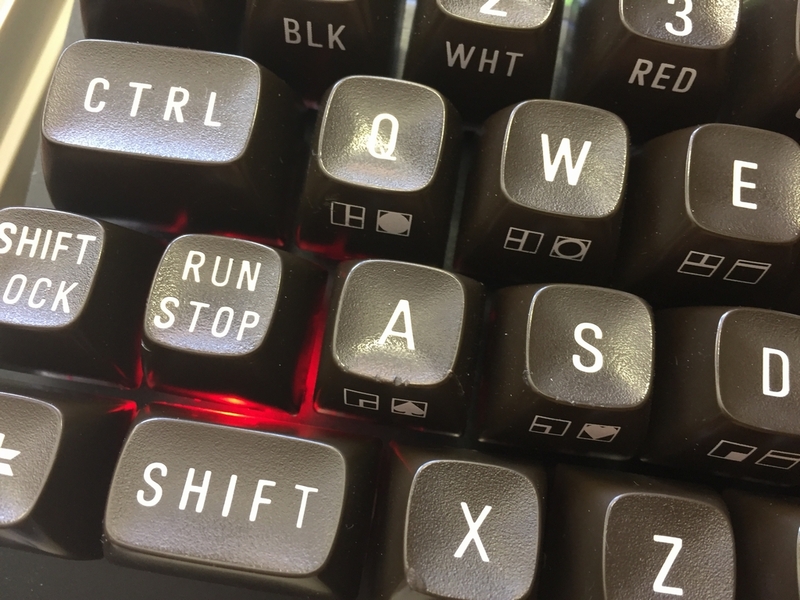 Make sure the Return key goes smootly when pressed. Add the 3D printed adapters for the Costar keycap inserts to the outer holes of the Space bar key and attach the Costar keycap inserts and stabilizer wire. 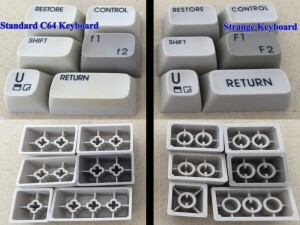 The outer holes of the Space bar use the same 3D printed key adapters as the rest of the keys. 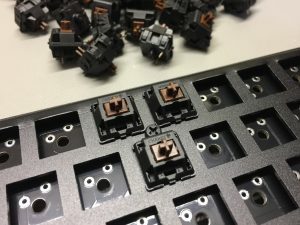 Depending on the version of the keyboard PCB, the orientation of the spacebar stabilizer wire varies. The longer part of the Costar keycap inserts must point forward. 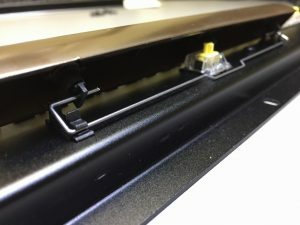 The stabilizer wire has to point backward towards the rear of the keyboard. 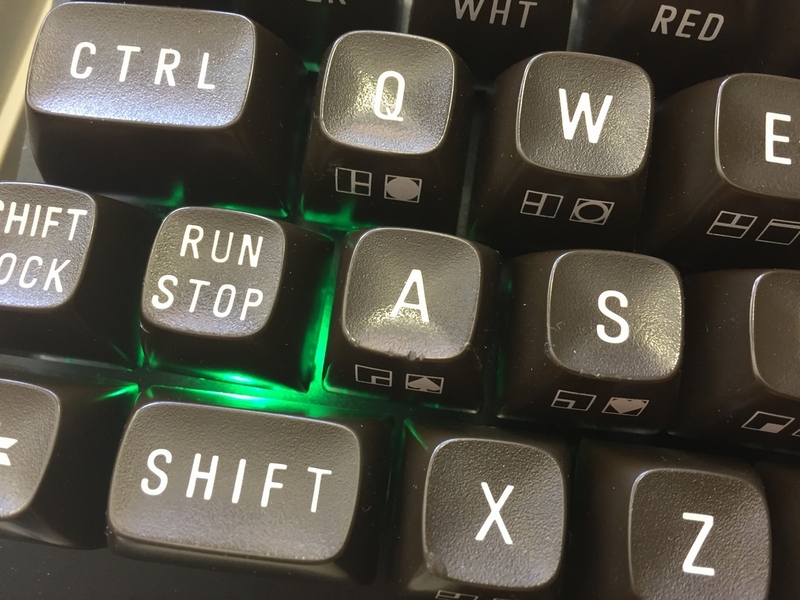 Install the Space bar in the keyboard. 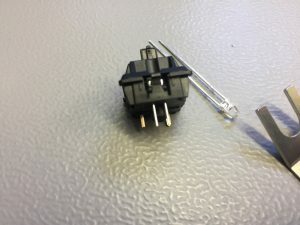 A flat headed screwdriver may be used to gently snap the stabilizer wire into the Costar plate mounted clips. 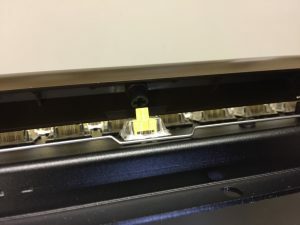 The same flat headed screwdriver may be used to hold the mircoswitch stem down during the attachment of the Space bar. After installation, make sure the Space bar key goes smootly when pressed. 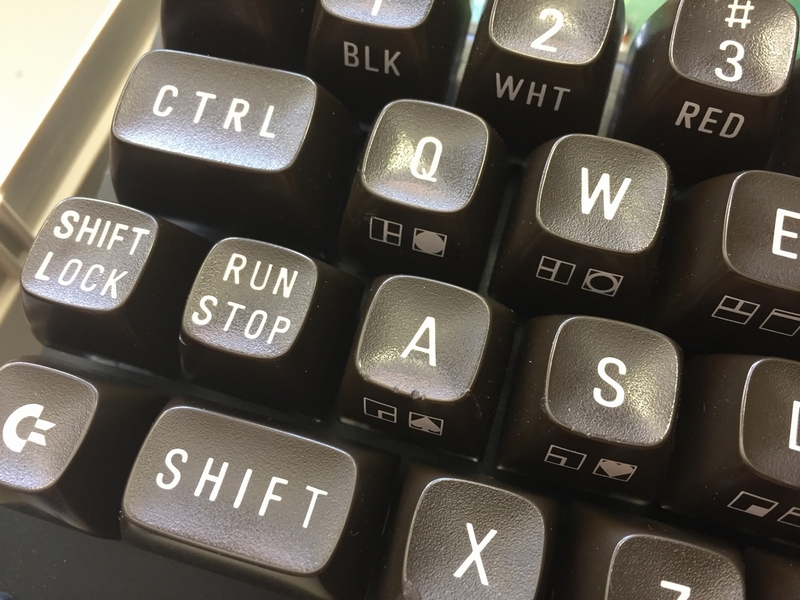 The longer part of the Costar keycap inserts must point backward. The stabilizer wire has to point forward towards the front of the keyboard. 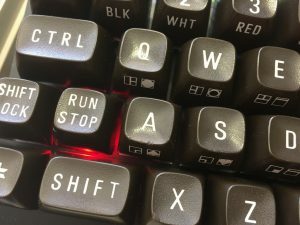 Install the Space bar in the keyboard. 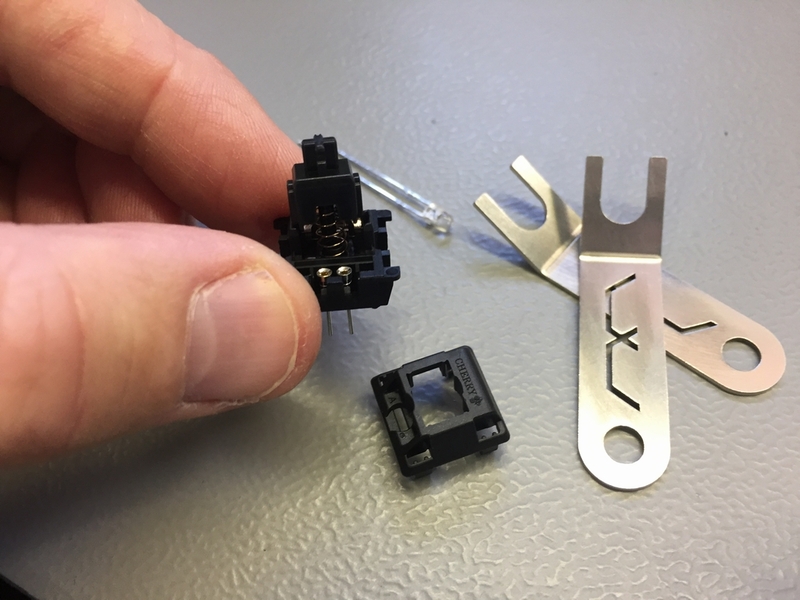 A flat headed screwdriver may be used to gently snap the stabilizer wire into the Costar plate mounted clips. 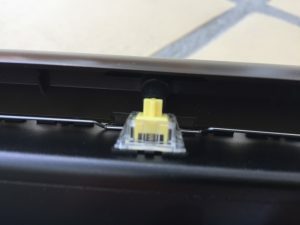 The same flat headed screwdriver may be used to hold the mircoswitch stem down during the attachment of the Space bar. 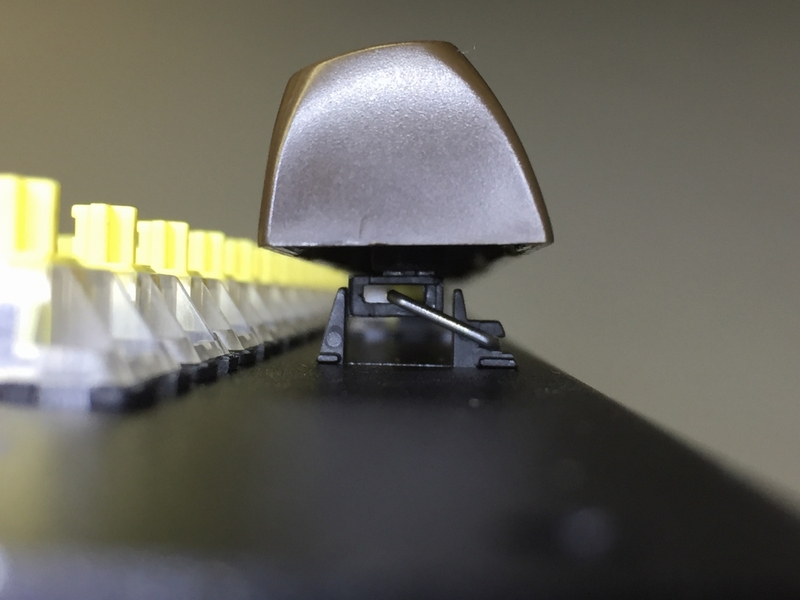 After installation, make sure the Space bar key goes smootly when pressed. 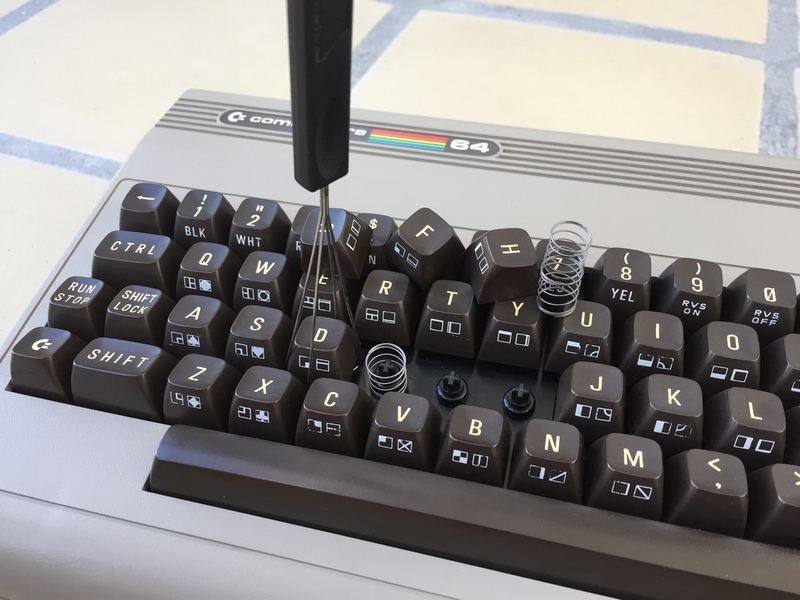 Attach the remaining Commodore 64 keycaps to the top part of the 3D printed adapters to finish the keyboard. 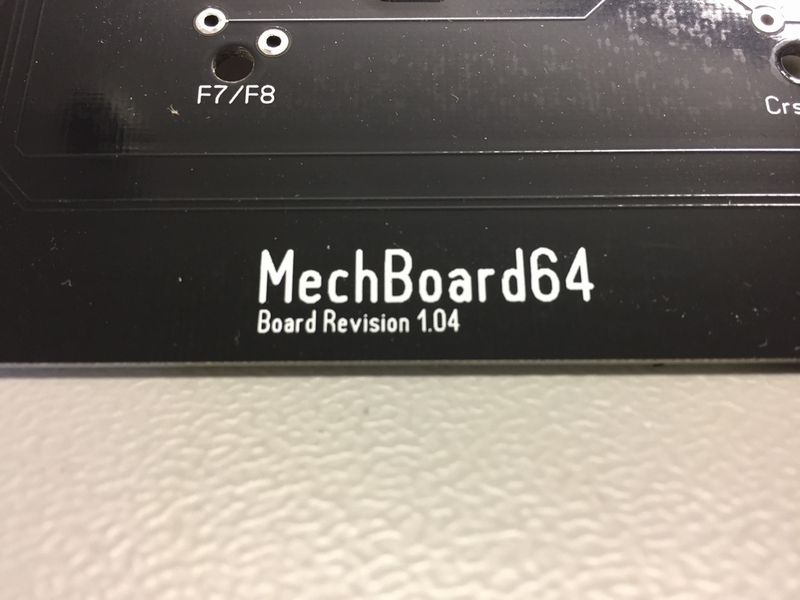 Next up is installing the MechBoard64 into your Commodore 64. 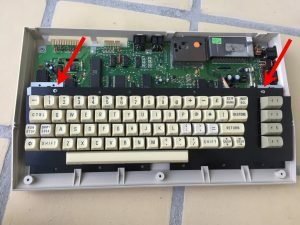 To install the MechBoard64 into a Commodore 64, the original keyboard has to be removed. 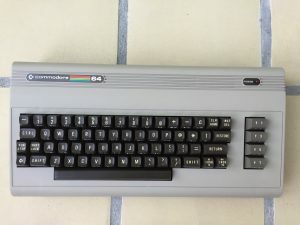 The MechBoard64 is compatible with the below Commodore 64 cases. 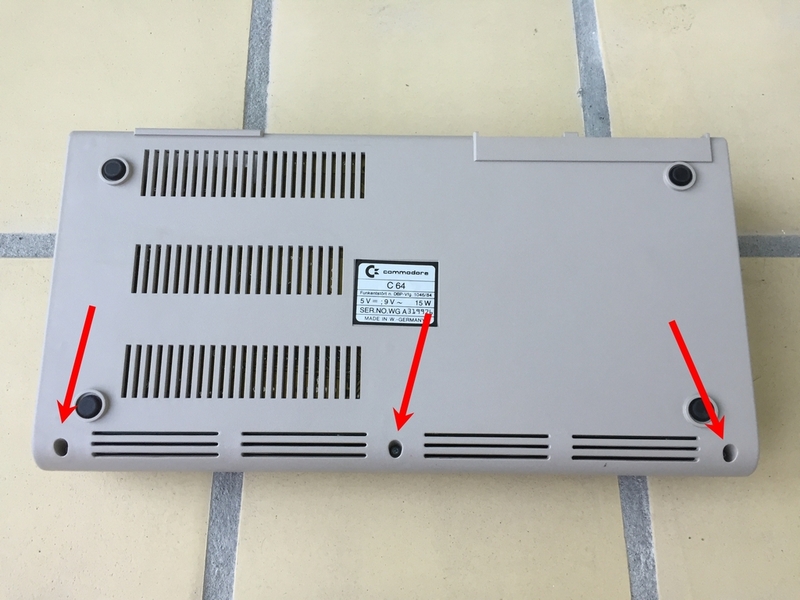 Remove the three screws on the bottom of the case. 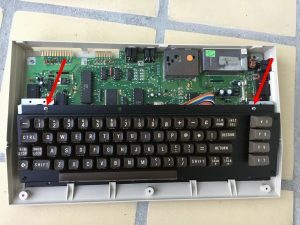 Remove the keyboard plug and power LED wire. 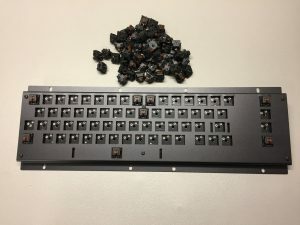 Unscrew the old keyboard. Insert and fasten the MechBoard64 using the same screws that were just removed. Attach the ribbon cable to the MechBoard64 and Commodore 64 motherboard. 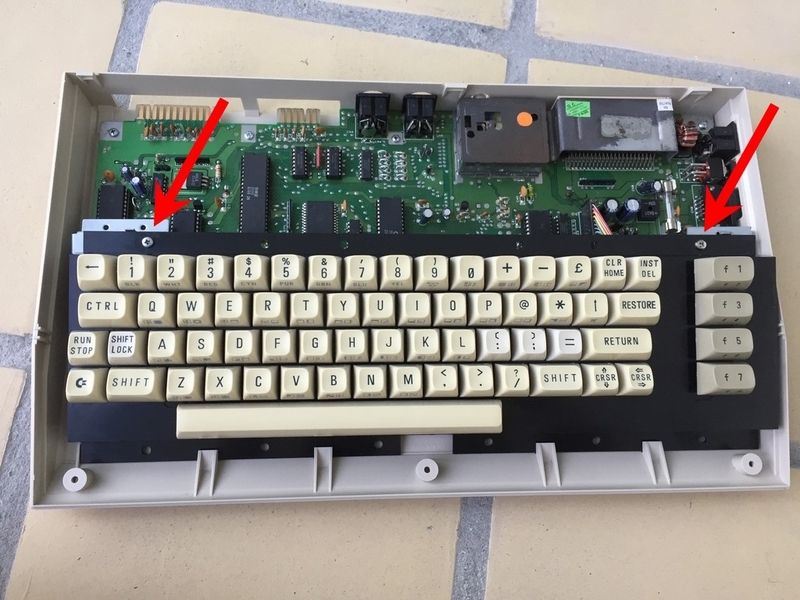 Pay attention to the direction of the cable – the missing pin on the keyboard has to match the missing pin on the motherboard! 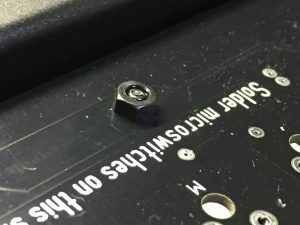 Carefully reattach the top part to the bottom part of the case and fasten it using the three screws that were removed during the disassembly. 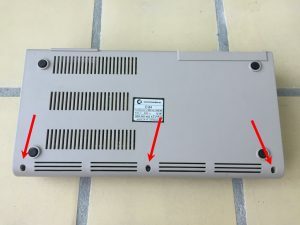 Remove the three screws on the bottom of the case. Unscrew the old keyboard. 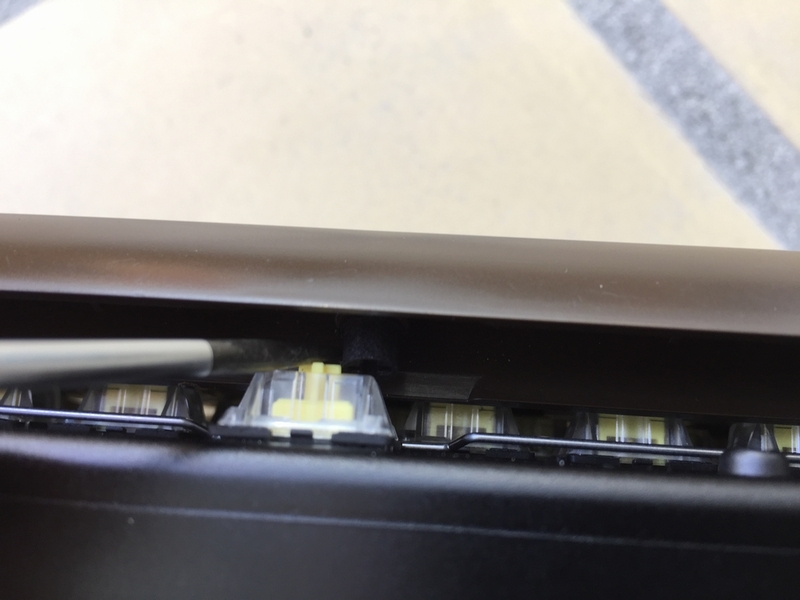 Remove the keyboard plug and power LED wire. 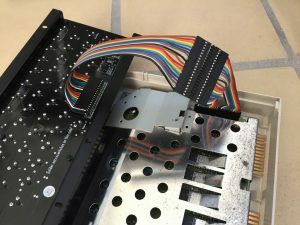 Attach the ribbon cable to the MechBoard64 and Commodore 64 motherboard. 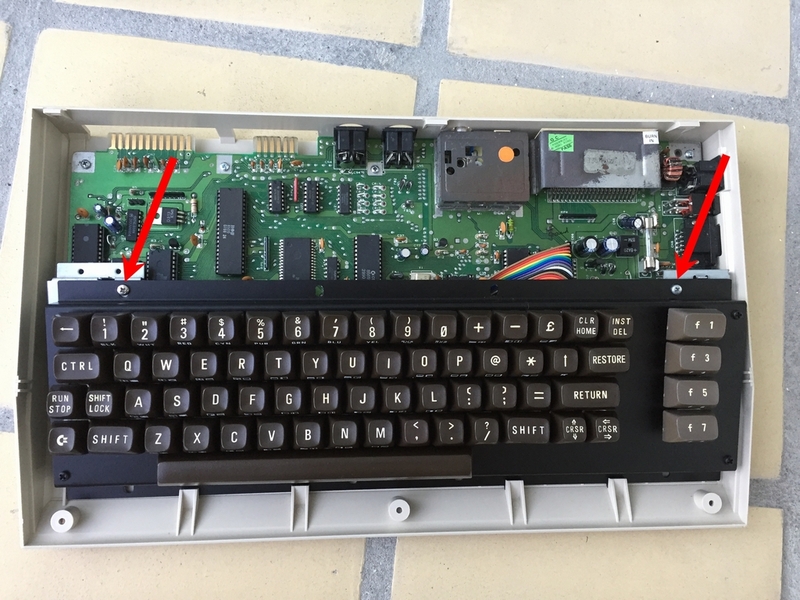 Pay attention to the direction of the cable – the missing pin on the keyboard has to match the missing pin on the motherboard! 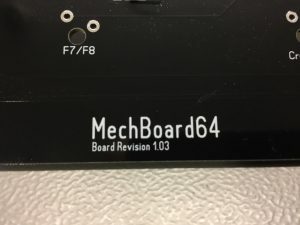 Insert and fasten the MechBoard64. 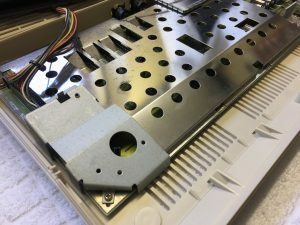 Carefully reattach the top part to the bottom part of the case and fasten it using the three screws that were removed during the disassembly. 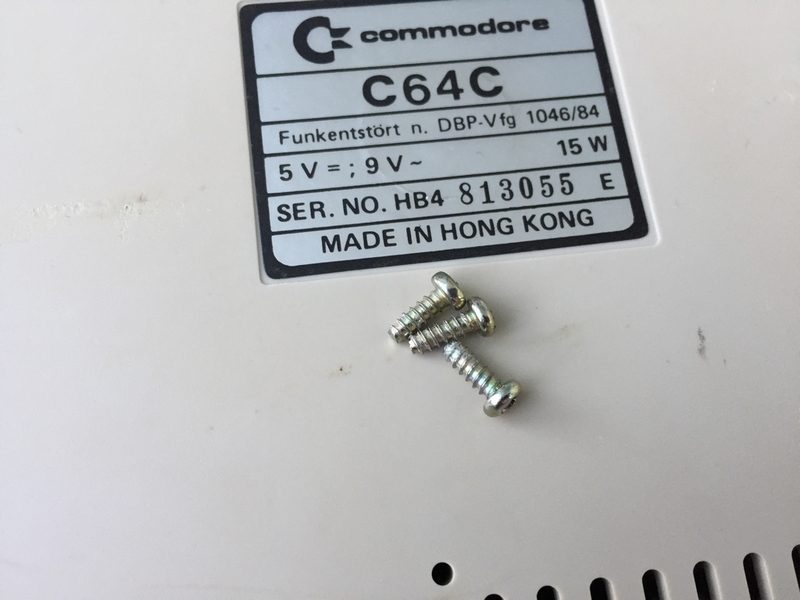 Some of the first slim case Commodore 64C machines has an old long board installed (Assy 250425 or Assy 250466). 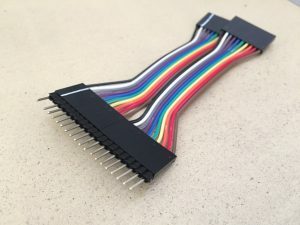 This combination of a wide motherboard and a slim case needs a 10 cm extension cable in order to work. The extension cable can be ordered along with the MechBoard64. 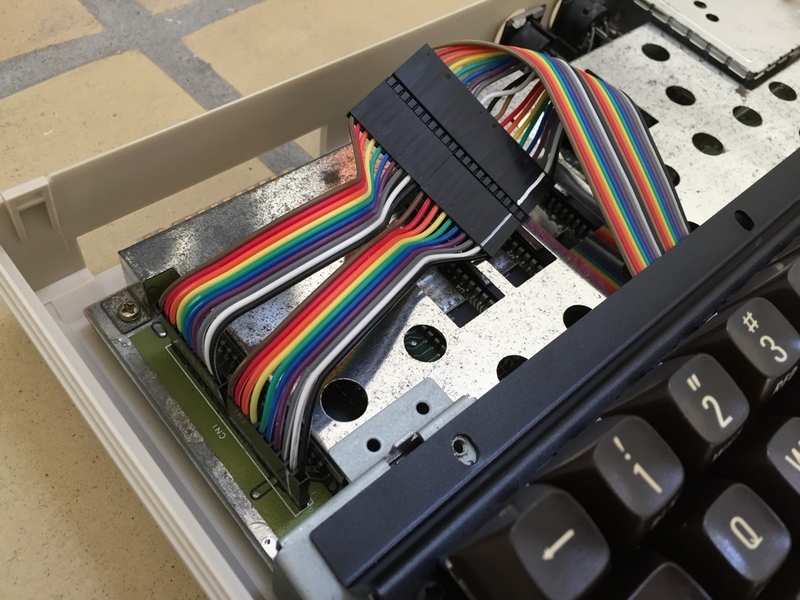 The extension cable has been marked to ensure correct assembly and is simply attached to the 20 cm ribbon cable. 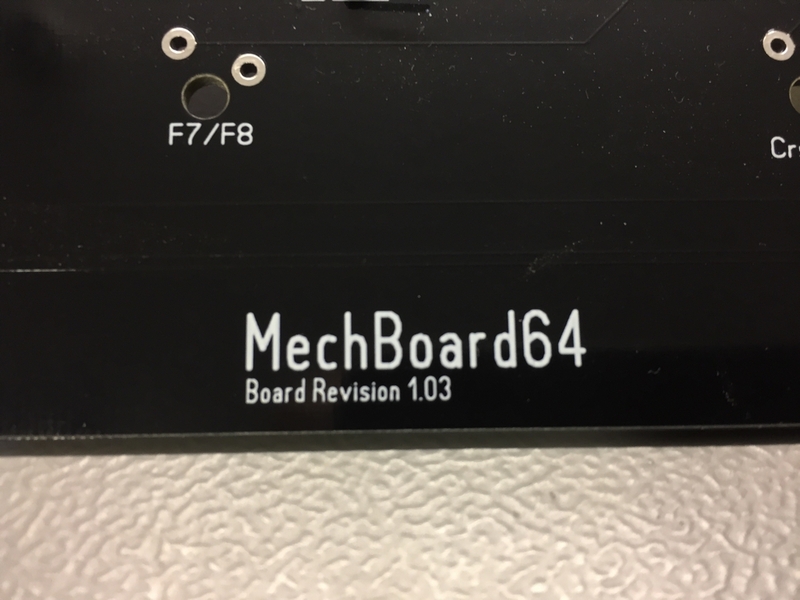 The MechBoard64 has a red LED (3mm, 20mA, 1.8-2.2Vf,) pre-installed for the Shift Lock circuit to indicate its current state (on or off). However, a green LED is also provided as a spare part along with a few extra microswitches. 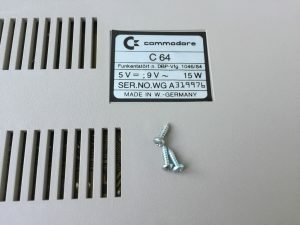 Some Commodore 64 cases have a green power LED. 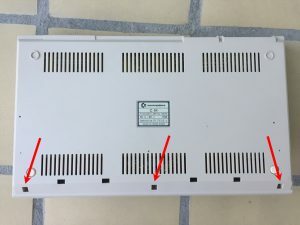 In those cases, the LED can easily be exchanged to match the color of the power LED. 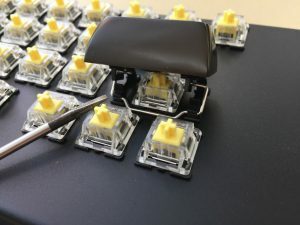 To do that, use the included keycap puller to remove the keycap of the Shift Lock key. Use your fingers or some pliers and carefully remove the LED from the SIP sockets and replace it with the color of choice. Re-insert the Shift Lock keycap and check that it lights up when the key is activated. 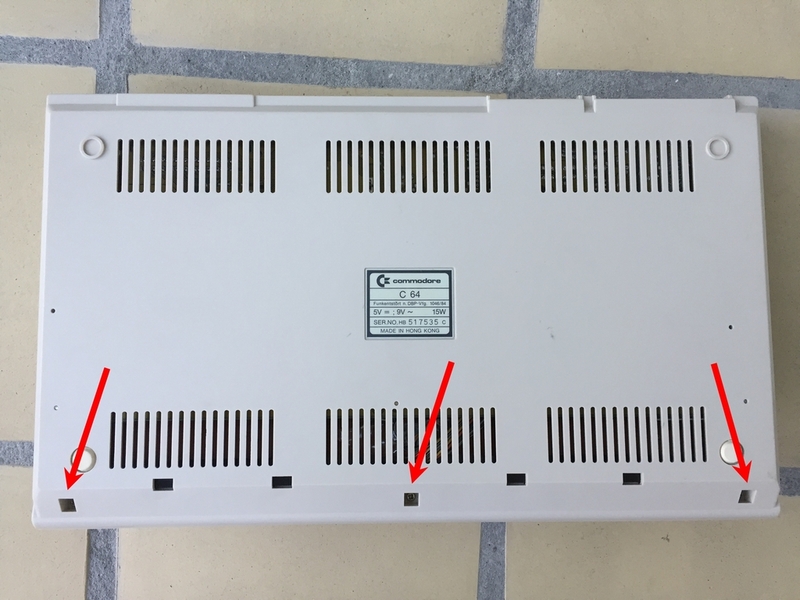 If it doesn’t light up when activated, the LED has most likely been inserted incorrectly (i.e. 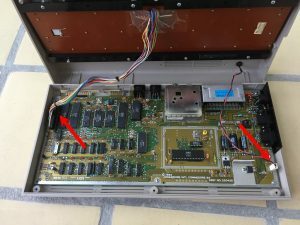 the anode has been inserted into the cathode socket and vice versa). In that case, remove the Shift Lock keycap and rotate the LED to make it work. Installing your own microswitches is pretty straight forward. 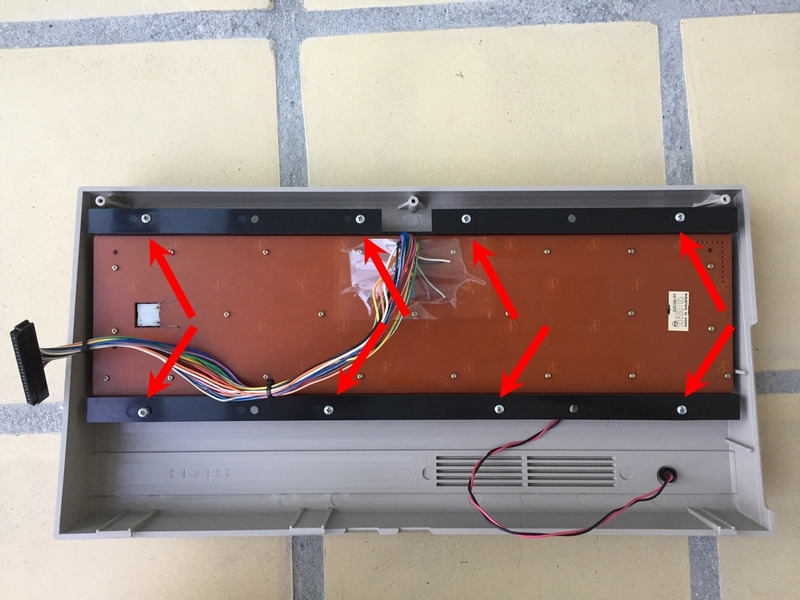 The PCB is attached to the aluminum bracket using six M3 x 10 mm screws, six M3 bolts and six M3 x 3mm spacers. The spacer placed at the center of the top row has a smaller diameter (6mm) in relation to the other five spacers (7mm). This is because of the tighter space surrounding the spacer. 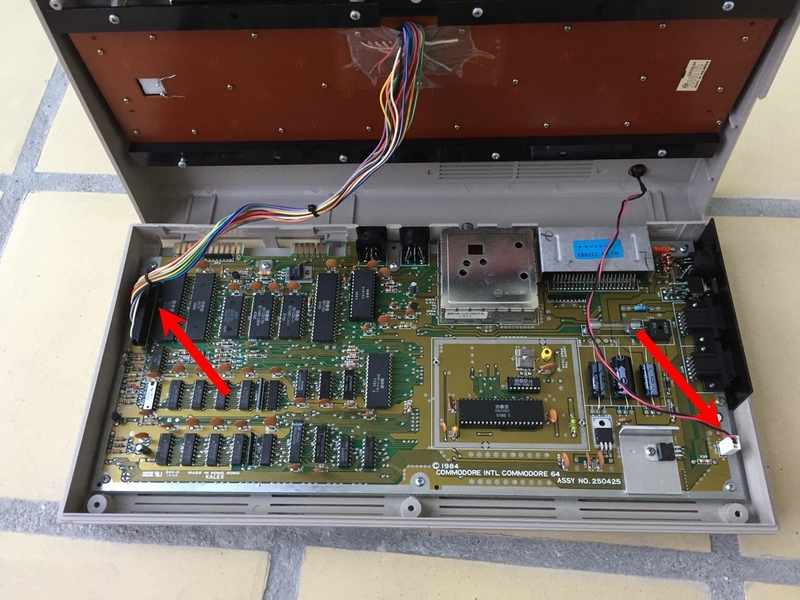 Start by loosening all six screws to make the PCB sit loosely in the frame. 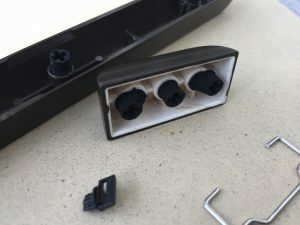 Insert the three microswitches surrounding the 6mm spacer and lightly tighten the screw. Then place microswitches in all corners of the aluminum bracket and lightly tighten all the screws. 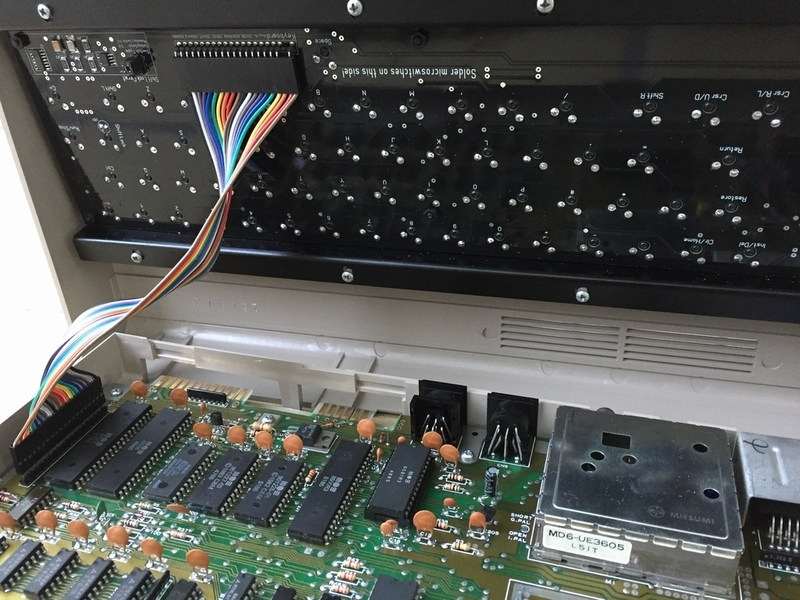 No need to use any force as they they are only used to guide the PCB. Insert the remaining microswitches and solder everything. ANY MODDING WILL VOID YOUR WARRANTY AND IS DONE AT YOUR OWN RISK! The Shift Lock key uses a standard non-latching microswitch like the remainder of the keyboard. 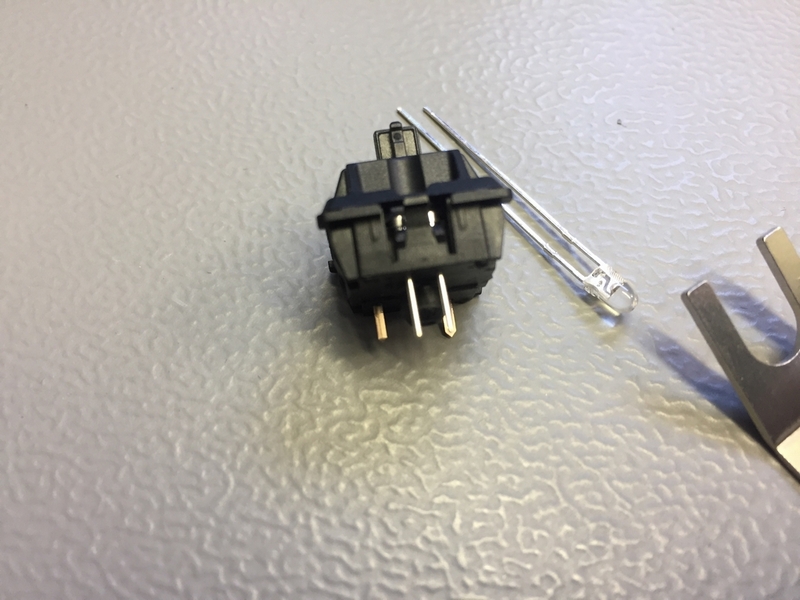 However, it can be exchanged with a latching type microswitch (e.g. 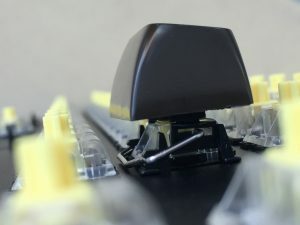 a Cherry locking switch). 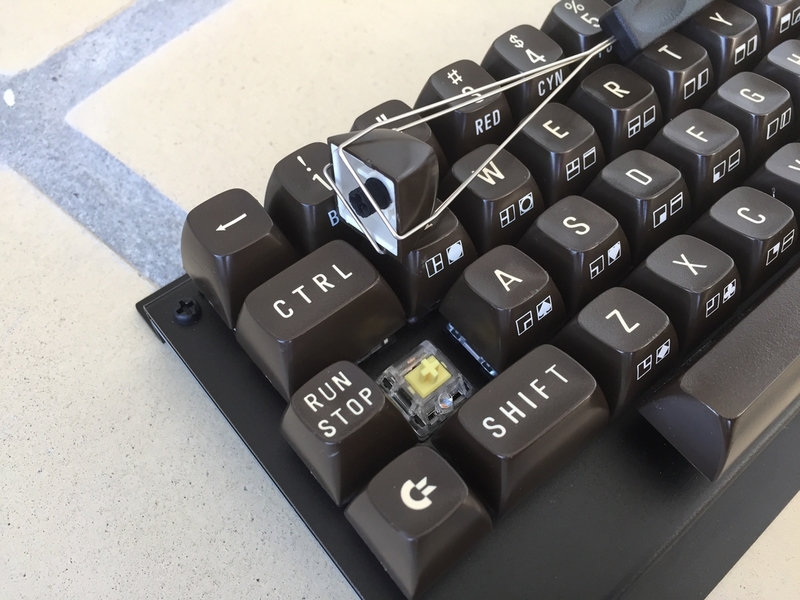 In order to do this, the microswitch that came with the keyboard has to be de-soldered and replaced by the new microswitch. 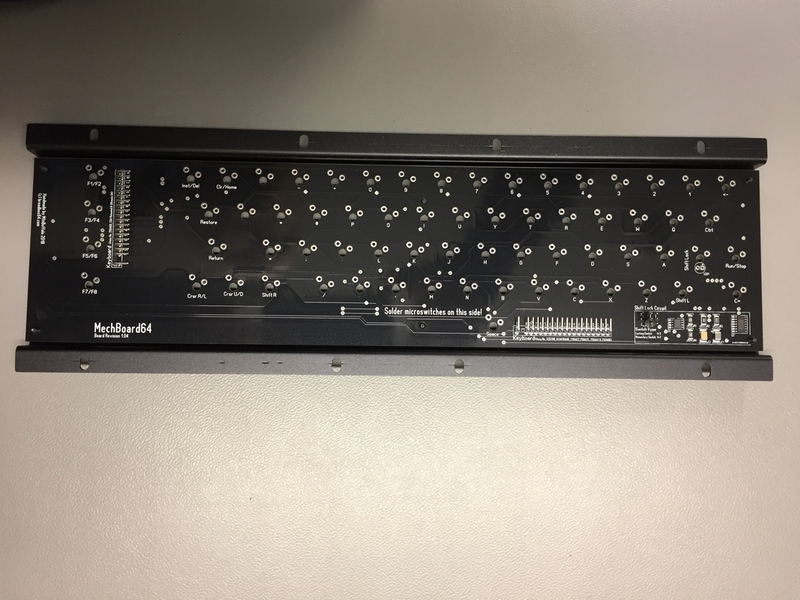 Locate the Shift Lock key on the backside of the PCB and desolder the LED pins and the microswitch pins. Remove the Shift Lock keycap with the keycap puller and microswitch. 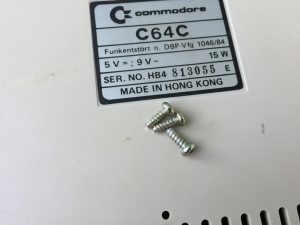 Insert and solder the locking type microswitch. After the exchange, the two pin header caps inside the Shift Lock circuit area at the bottom right of the PCB has to be moved to position ‘3-1’ in order for the new switch to work. 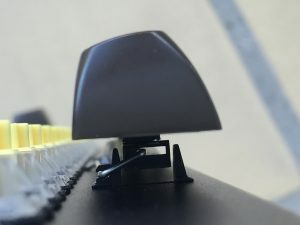 The Mechboard can be ordered with a pre-installed Cherry Locking switch. 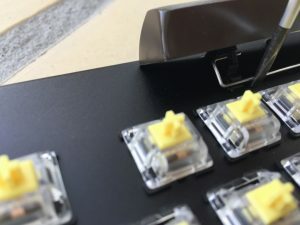 However, the microswitch for the Shift Lock key can be swapped with a standard non-latching microswitch to have an LED light up under the keycap. In order to do this, the Cherry Locking switch that came with the keyboard has to be de-soldered and replaced by the new non-latching microswitch. 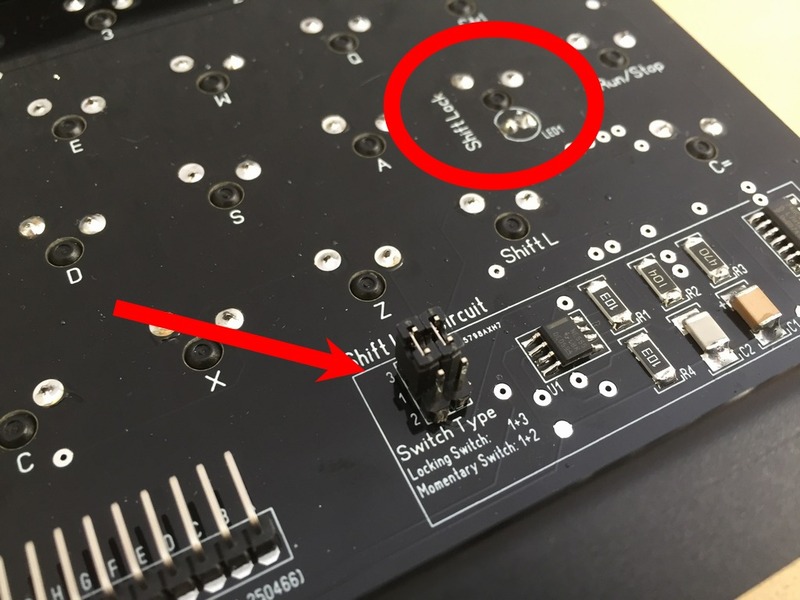 Locate the Shift Lock key on the backside of the PCB and desolder the microswitch pins. 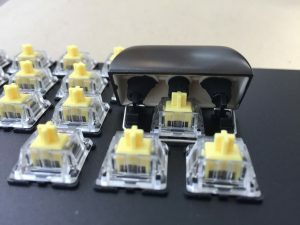 Remove the Shift Lock keycap with the keycap puller and microswitch. 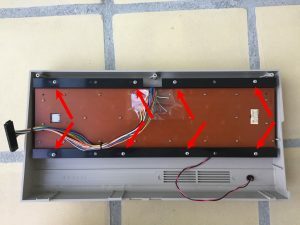 Before soldering the new microswitch, two SIP should be installed inside the replacement switch for easy exchange of the LED. 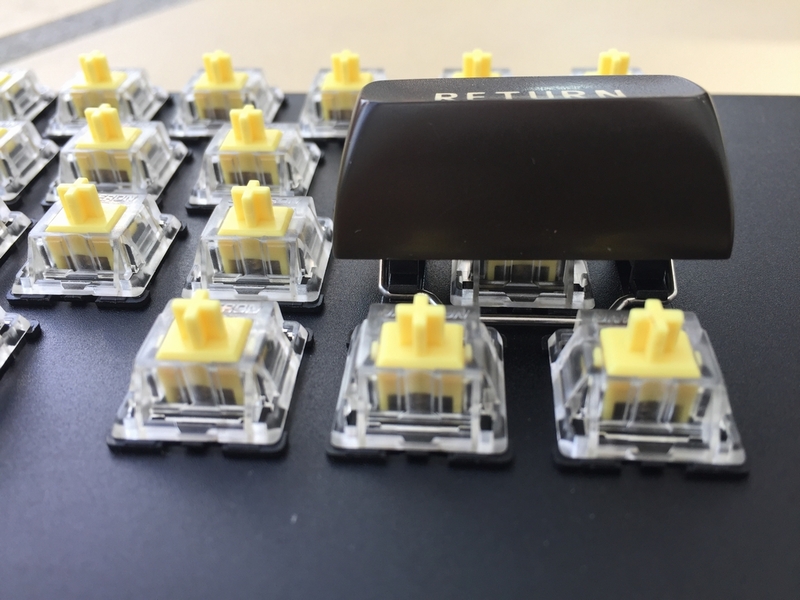 De-attach the microswitch and insert the SIP sockets. Re-attach the top part and then insert and solder the non-latching microswitch and the two SIP sockets. 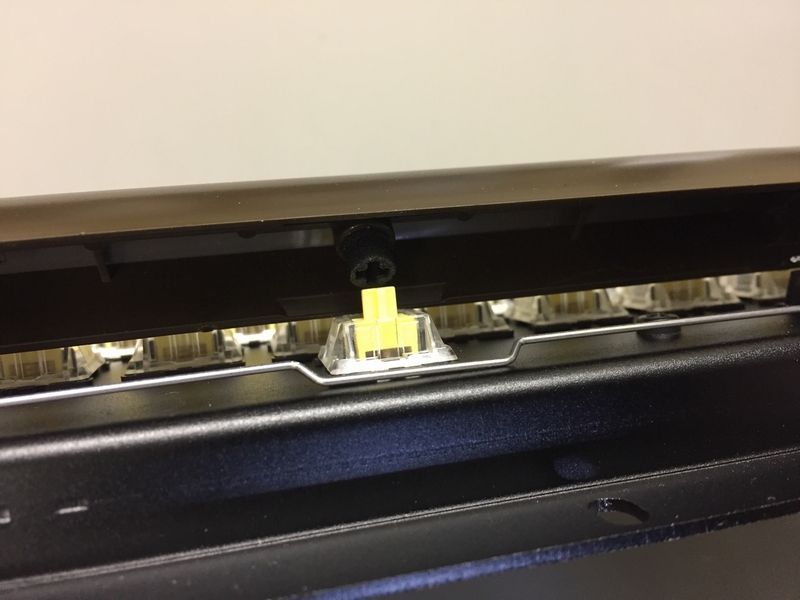 Cut the LED to an appropriate length and insert it into the SIP sockets. 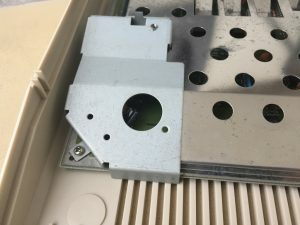 After the exchange, the two pin header caps inside the Shift Lock circuit area at the bottom right of the PCB have to be moved to position ‘2-1’ in order for the new switch to work. 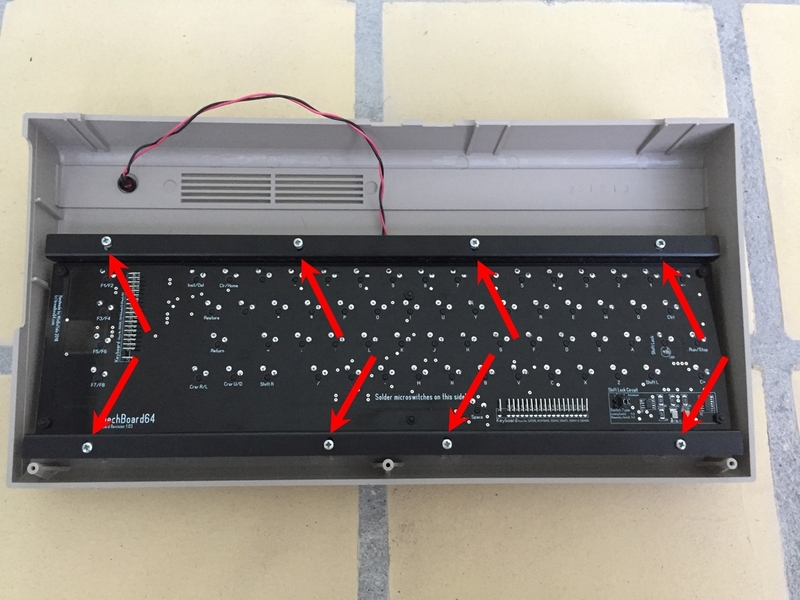 If it doesn’t light up when activated, the LED has most likely been inserted incorrectly (i.e. 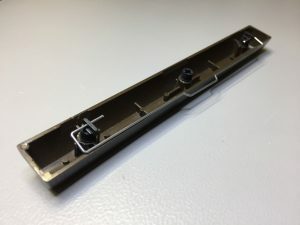 the anode has been inserted into the cathode socket and vice versa). 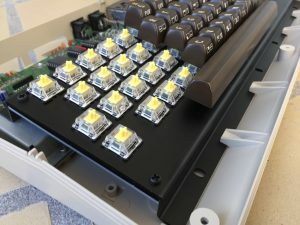 In that case, remove the Shift Lock keycap and rotate the LED to make it work. Suggestion for updated manual: Instead of mounting the adapters on the switch, insert adapter into key cap for easier mounting. Using both thumbs, press firmly on opposite corners for optimal mounting.